Westfire stoves have a five year manufacturer’s warranty against material faults and other manufacturing defects. Your receipt document is the date of purchase. The warranty will only apply if they receive the duly completed registration card within two weeks of purchase. 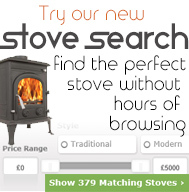 The manufacturer’s warranty covers the body of the stove only for five calendar years. The stove installation must be signed off (certified) by a registered installer, Building Control Body or local authority to validate the manufacturer’s warranty and serviced within twelve months of installation. The warranty is null and void if this is not adhered to. The warranty is also void if the stove is installed without legs. The cost of installing replacement items and all consequential costs are at the customer’s expense. All replaceable components that do not fall under the manufacturer’s warranty can be purchased from Glowing Embers. Please contact us on 01376 555182 with any warranty issues.